Size: approx. 5 mm. Photo: 11/16/11, 11 pm. 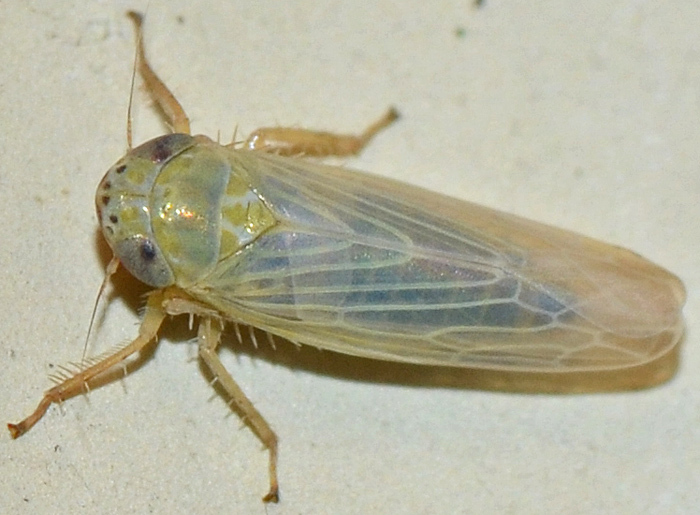 Graminella sonora is a common leafhopper in the Southeastern US. 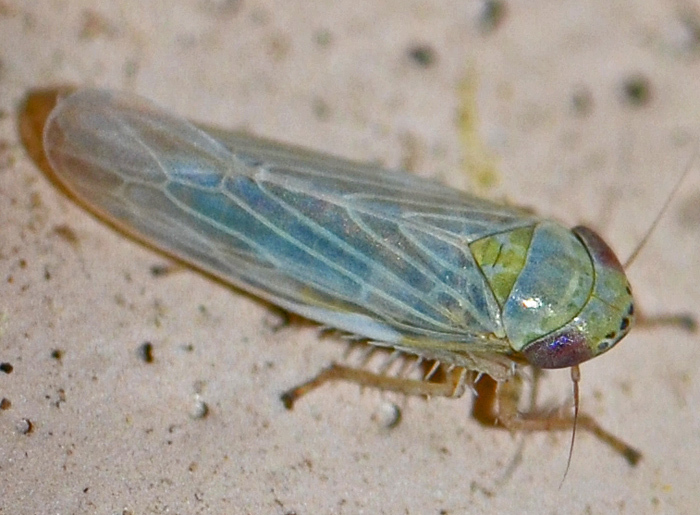 The second link notes "male chorusing behavior in Graminella nigrifrons. Like frogs, the males form alternating choruses, with one chorus emitting their vibrational calls while another group is silent. 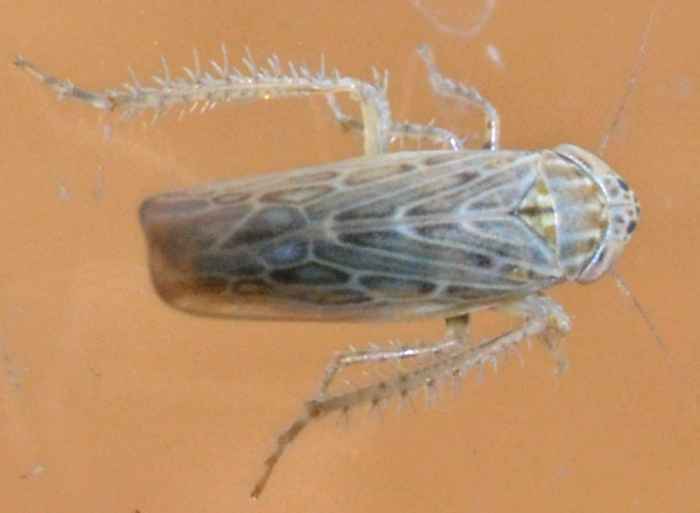 The leafhoppers responded readily to recorded calls of their species, easily falling into the rhythm of chorusing with a recording." The small photo shows a different specimen (05/16/16) that might be a different, similar species. 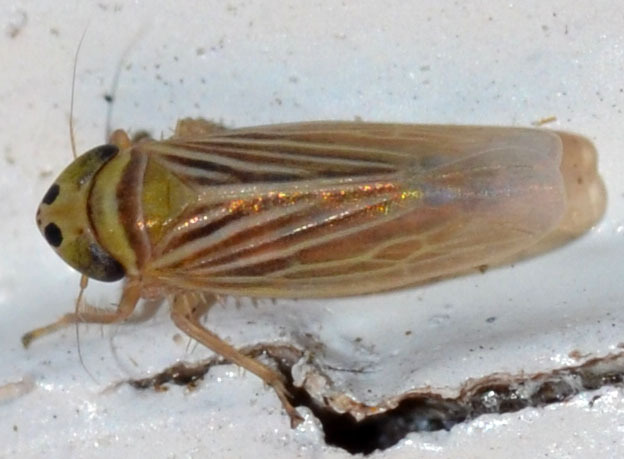 Clearly different from the Graminella entries above, this specimen is G. villica. 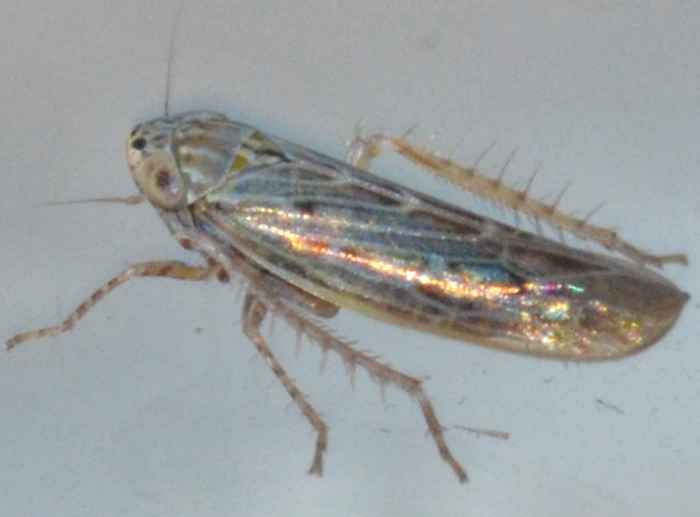 I couldn't find any information on this little leafhopper but it was attracted to our porch light.